Zignone Brothers wool mill - today better known as the "Factory of the Wheel" - was built in 1878 in Pray Vallefredda, after a successful dispute resolution with Flecchia, on purpose to set up a mill for grinding cereals and threshing hemp in the same place. But Zignone, a long tradition businessman family, would like to concentrate its wool activities only in one area. At the end of the 19th century, Anselmo Giletti, who was the owner of the biggest Ponzone valley wool mill and, during those years, the Zignone factory tenant too, introduced the telodynamic system, theorized by Galileo Ferraris. Big wheels activated by a turbine and connected with metal cable characterise this still working system, that is the last preserved in Italy. The wool mill, managed by Zignone family in partnership with other businessmen until the Sixties of the past century, was a full cycle factory, manufacturing cloths from wool with all the processes internalized. Machineries were gradually renewed and the labour force increased so much that in the Thirties workers were 150, split in three shifts. This wool mill produced mainly carded clothes: it sold to italian and international market and one of the most important company customer was the army, not only during the Second World War, but also in peaceful times. 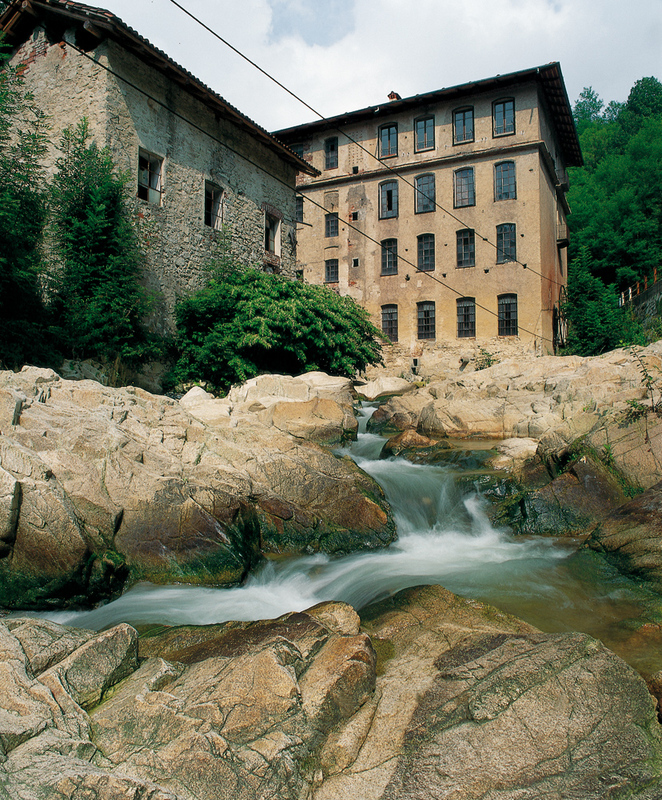 In 1991 Docbi - Centro Studi Biellesi became the owner of this historical wool mill and turn it into a cultural pole. Today the "Factory of the Wheel" houses the "Centro di Documentazione dell'Industria Tessile", consisting of an industrial archives collection. The building is along the "Road of the wool", an ancient route that links Biella - the production area - to Borgosesia - the seat of an old wool market. Educational activities at the "Factory of the Wheel" focus on practising textile art: there are hand spinning and weaving courses with a qualified staff. It is also possible to book a guided tasting of typical Biella area products in conjunction with Sapori Biellesi. Pray Biellese, the "Factory of the wheel"